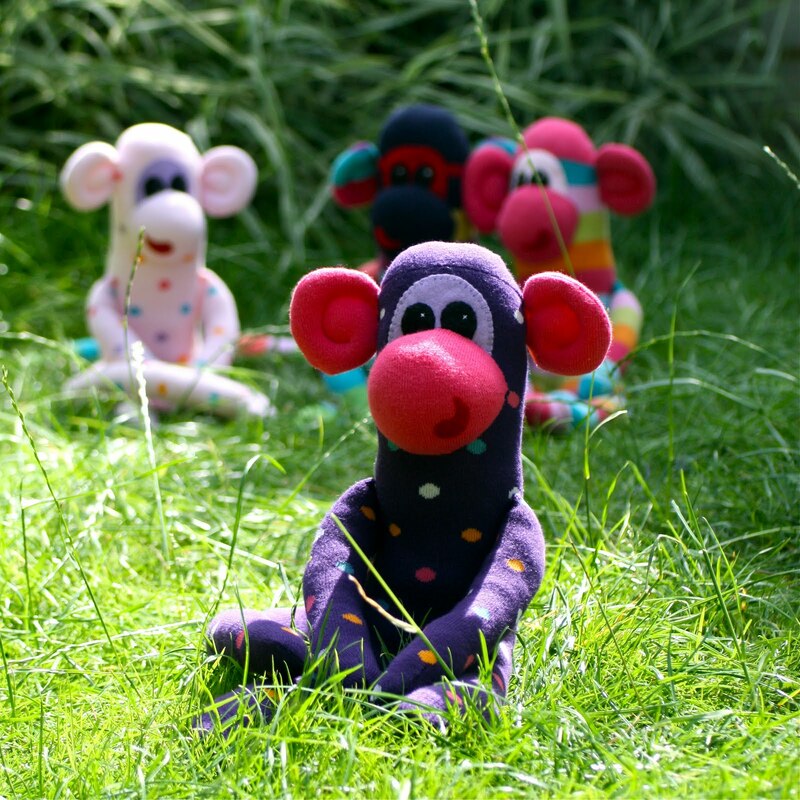 Monkey and Squidge: Enjoy while it lasts! …I cannot actually believe that 5 weeks of the summer holiday have gone already. Boo!!! We've had a rather action packed holiday… deciding to sell the house so we franticly decorated the first week only to change our minds and think we'll stay put for a while. Then my boy got hit by a bike so there was the A&E visit… again, joking apart it was probably the worst moment of my life and it still haunts me! An impromptu camping adventure which was great fun… still couldn't keep him safe… he walked into a wooden spike! My boys birthday which I would like to say went without a hiccup but no… slapped cheek for him as a special gift of turning 7! Not fun having a poorly boy on his birthday. I did sneak in a few things… a scarf for my sister in laws birthday, and one for the daughter of my best friend. Mumbo, my original one is at the back in the middle, and Tink has adopted rainbow on the right! …and as I had a spare set of socks left from the pack I bought I made one to put on my folksy shop! …dare I say, I'm already on the lookout for more interesting socks! Enjoy the rest of summer holiday! Love your sock Monkeys - I had to make another for one of Bella's friends for her birthday! Bella took hers to guide camp and they all thought it was cool! Sounds like you have had an eventful holiday - no blogging or crafting for me either. Can't believe its almost over but we are off to Cornwall tomorrow to enjoy the last week. Thanks Lynn. 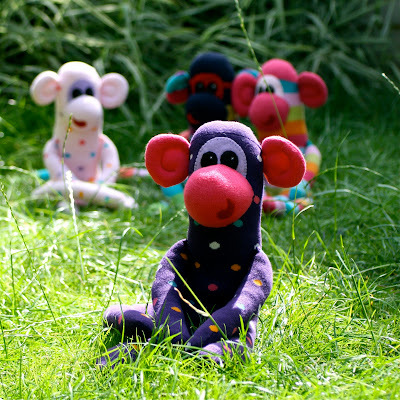 My two nieces (12 & 15) saw lolas monkey today and have decided they both want one now! I didn't believe you when you told me they were fun to make, I'm hooked now.